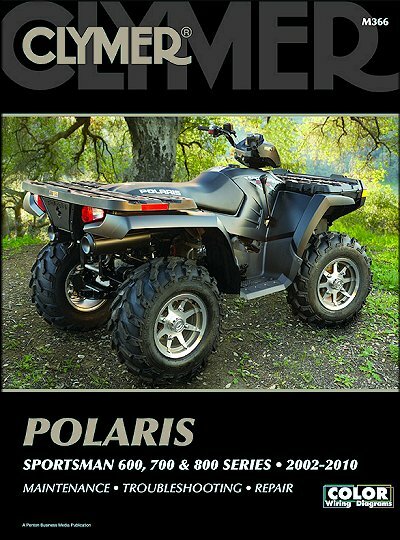 Polaris Sportsman 600, 700, 800 Repair Manual 2002-2010 is available for only $37.95 from TheMotorBookstore.com. Largest selection of Clymer, Chilton, Haynes, Bentley and Seloc repair manuals at discount prices. This Polaris ATV repair manual covers the following ATV models and years. Make sure to take your Polaris ATV repair guide whenever you ride. It is cheap insurance against those pesky trail demons that show up from time to time. Not the Polaris ATV repair guide you were looking for?